When you see someone walking around Venice (or anywhere in the world now, really) with an extra cool hat on ... chances are it's a Nick Fouquet chapeau. His hat business is blowing up these days, as everyone from hard-working 9-5-ers to rock stars are knocking on the door of Fouquet's Abbot Kinney workshop to get their own "soul mate" of a hat. Pharrell sported a Fouquet creation at the Grammys (not the big cartoony one, the other cool one he wore while performing). Madonna wore one recently. More importantly, people you know around Venice are wearing them ... and if they're not yet, they want one. 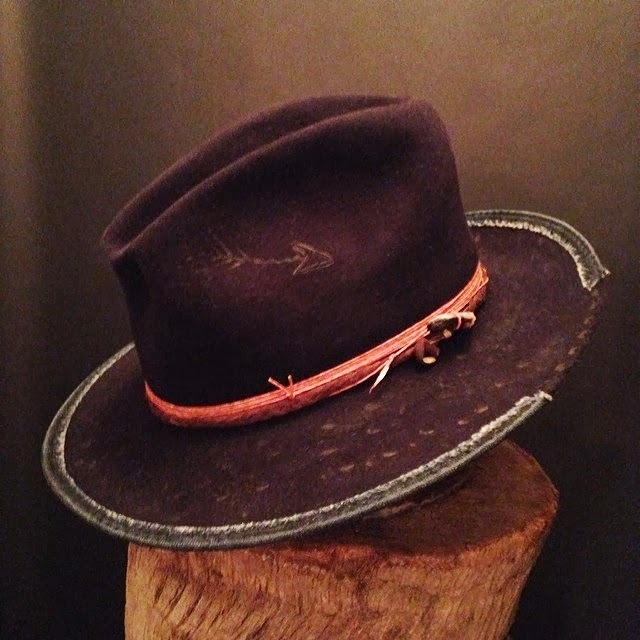 After working with his partner Greg Westbrook at Westbrook Maker, Fouquet went out on his own last year to put his stylish stamp on the craftsmanship that has remained the same for centuries of hat making. 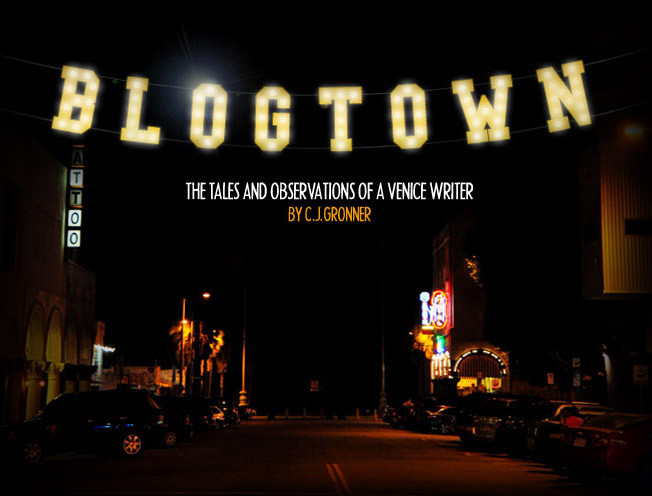 The work is a bit less western cowboy style now, with more a far more bohemian flair ... very Venice. 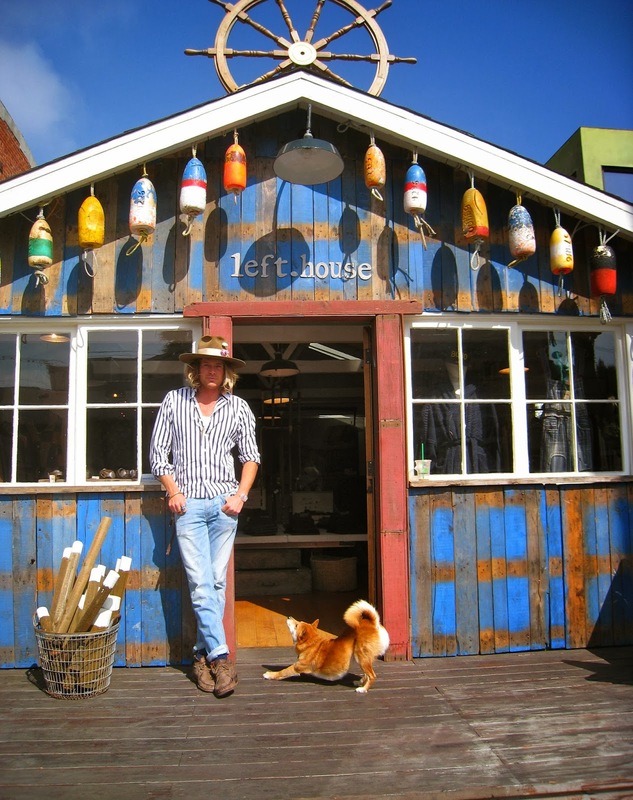 The Nick Fouquet Hat Company is now located in the Left House on Abbot Kinney, sharing the space with Kapital, Another Kind Of Sunrise, Howl, etc... 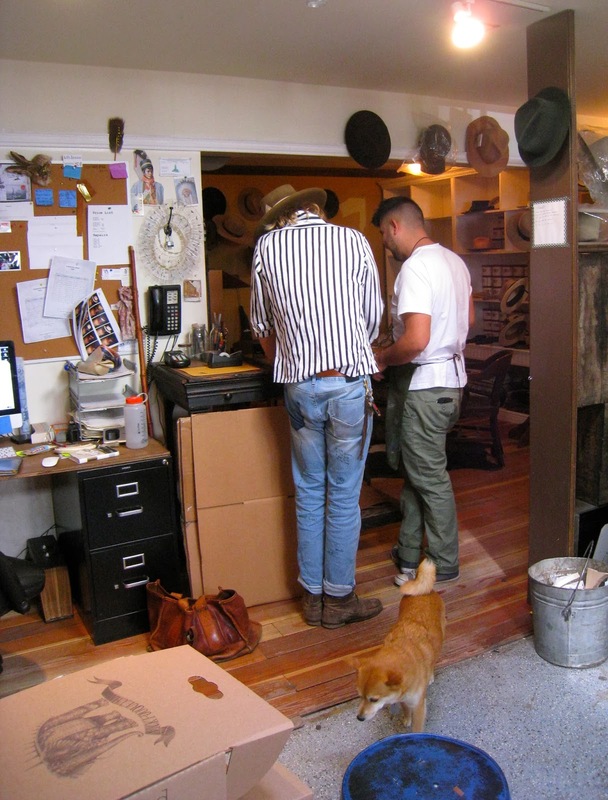 It's a warm, homey workshop in the back space, watched over by Fouquet's sweet little dog, Luca. Fouquet meets with clients to create their vision of what a perfect hat for them would be. Because it's such a custom experience, it's an investment (base prices range from $400 - $800), but one that will become a treasured heirloom, meant to be passed along for generations. "It's a very personal process," says Fouquet, "You get to know the person, and then It's ALL about the details." Meaning once you measure the client's head and that technical part is done, it's about collaborating together to create a hat that expresses that individual's personal aesthetic. That could mean trinkets from your life incorporated into your hat, like a key or a charm you love. Or trimmed with fabric from your Dad's favorite tie. Or lined in tie-dye because you're a hippie at heart. Fuschia leather. Paisley fabric. An antique pin. Whatever is unexpected and breaking idea barriers is the order of the day here. There are no rules, other than finding out what you will love and then bringing it to life. When you know Fouquet, it all makes sense. He describes his own style as "Keith Richards meets a Japanese warrior meets a country club guy in France," and as eclectic as that sounds, he somehow makes it all come together to where you kind of want to copy him. But you can't, because he's him, and you're you, and that's the point. Making something awesome to wear around that reflects who YOU uniquely are. And in this increasingly homogenized world, we can always use (way) more of that. 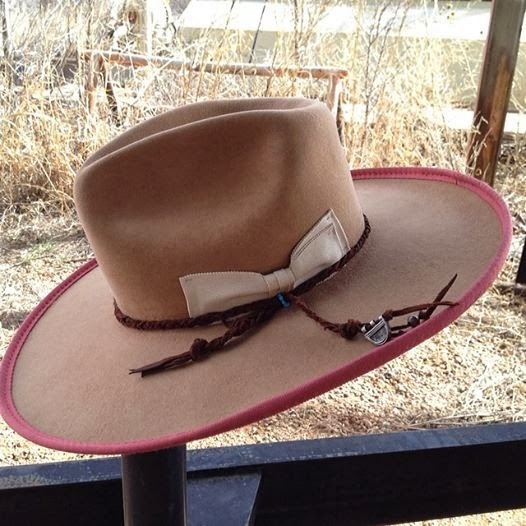 A Fouquet hat is so one of a kind, he couldn't even re-create the exact same one again for you. He could come close, but the point is that each one is its own work of art, never to be repeated. They're meant to LIVE in - travel, fish, hit the beach, work all day in the sun or strut the red carpet in. Because it's all about you, it works wherever you want to wear it. Though heads are sporting Nick Fouquet hats all over Venice, it's an increasingly international sensation that has your custom hat taking (as of this writing) 4-6 weeks to be delivered, once you've completed the vision process. "Venice is a part of me ... I love it. I want my hats to be from here," said Fouquet as we sat talking on the front steps of the Left House in the warm winter sunshine. 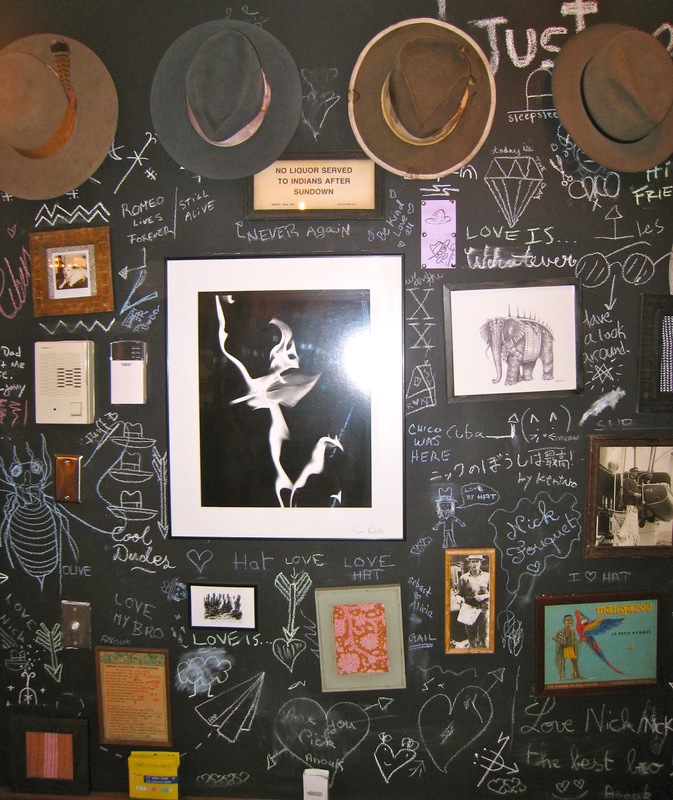 Though high-end publications like Vogue and all the celebrity stylists that read it are flocking to Fouquet's workshop to style out their clients, it still retains a very laid back, beach town atmosphere, as mutual friends come by and wave and pet the dog and shout out how they too want a hat. Once you've seen one, and how they're so lovingly hand-crafted ... you'll want one of your own. Get yours. CREATE yours. And as Fouquet likes to say, "Keep on keeping on!" Sound like a fun place!! Another place to visit. Does he teach hat making?